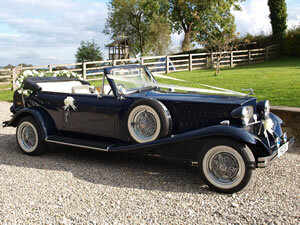 Two stunning 1930’s style Beauford Tourers both in dark metallic blue, trimmed in ribbons, bows and floral decorations. 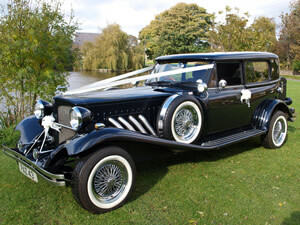 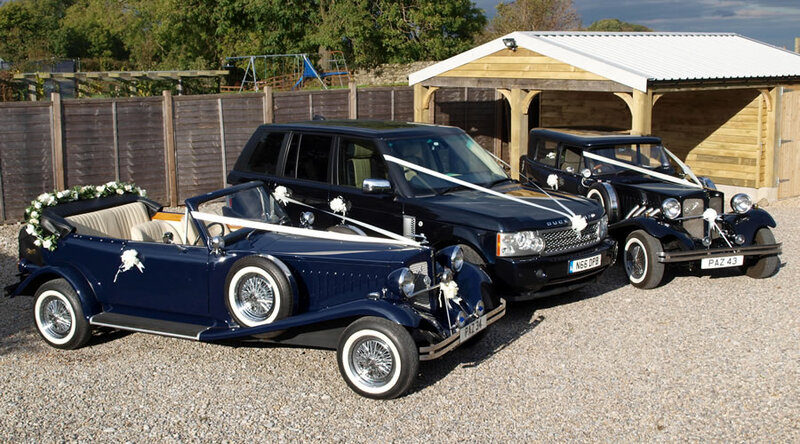 Choose the wedding car you like or hire the matching fleet to take your bridesmaids and family and friends in. 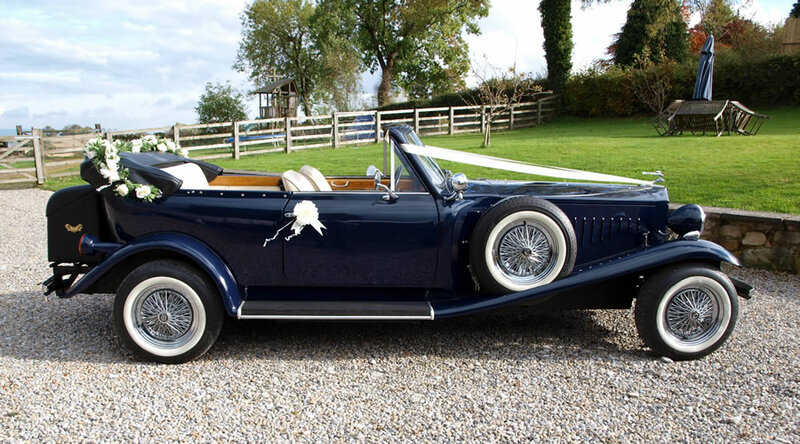 Our 1930s style Beauford two-door saloon hard top in metallic dark blue with grey cloth interior exudes style and charisma. 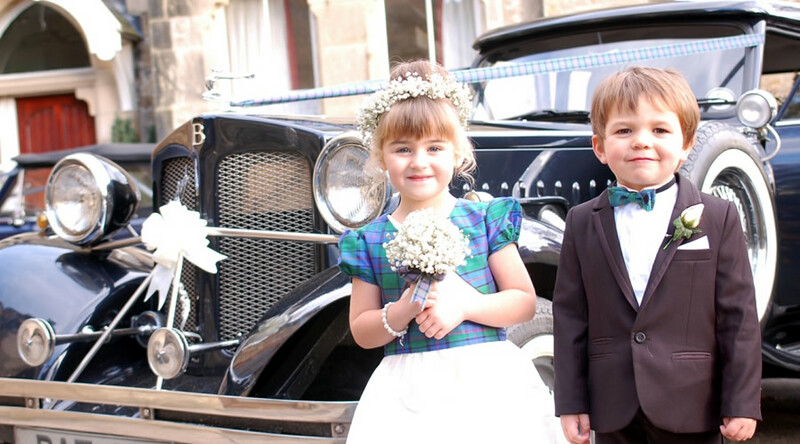 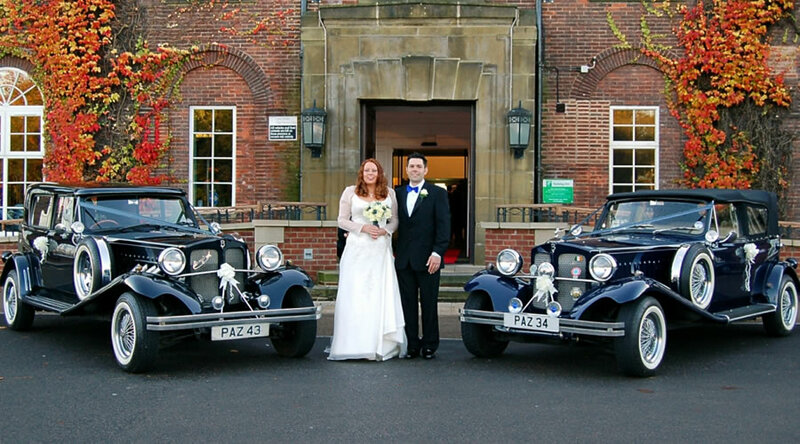 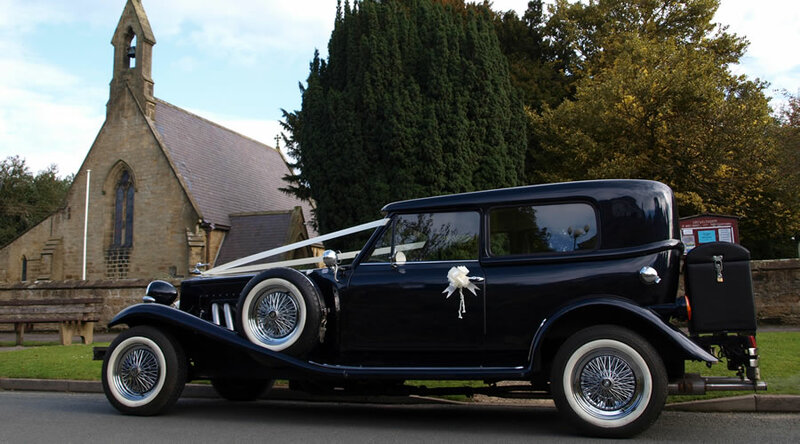 Aquarius Wedding Cars, based near Ripon, North Yorkshire, is a family run business offering bespoke chauffeur driven wedding packages with exceptionally high standards.